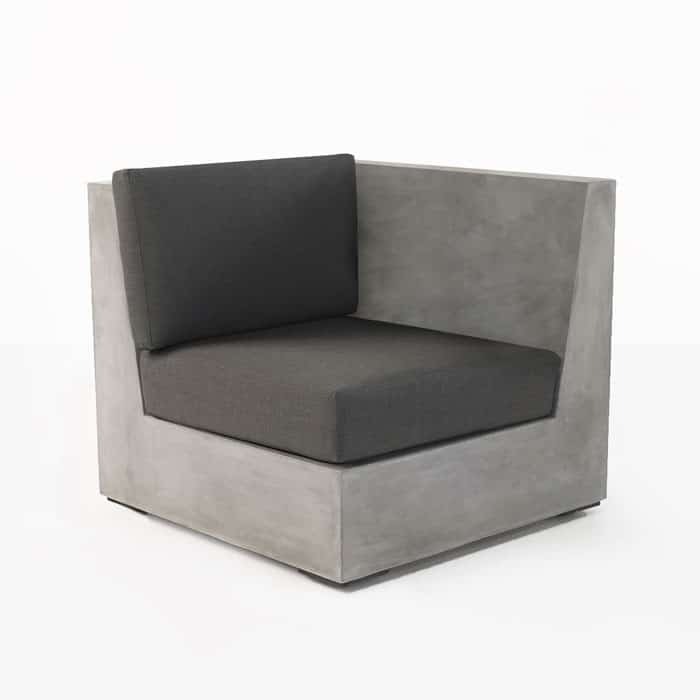 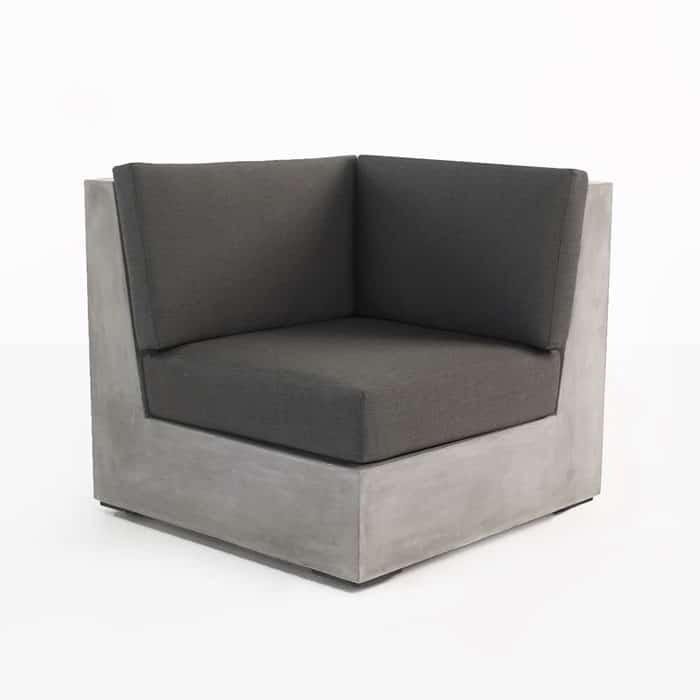 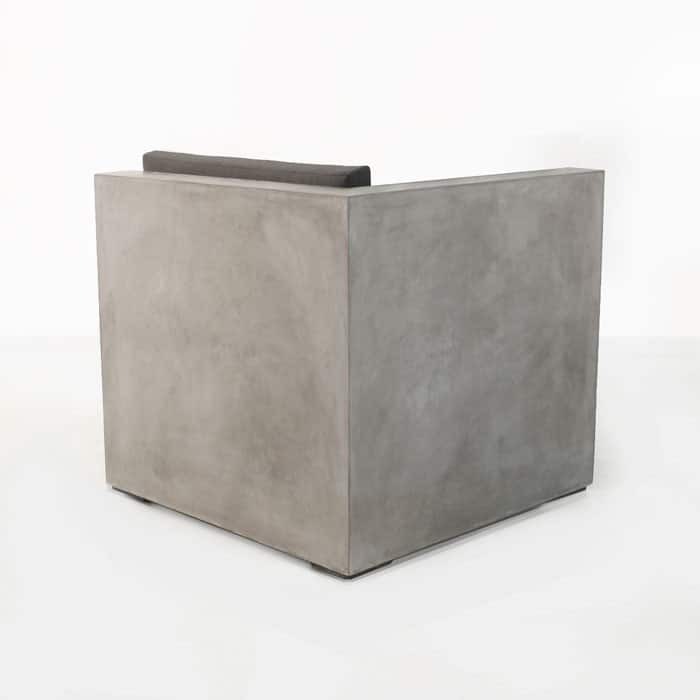 The Right Arm Box Concrete Chair is a perfect way to cap off the modular concrete sectional that we call the Box Concrete Seating Collection. 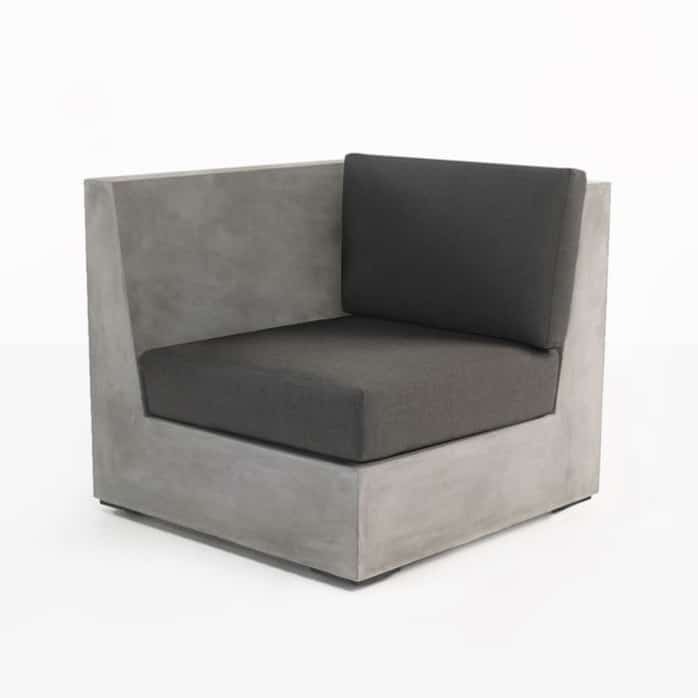 An innovative, stylish and comfortable outdoor deep seating collection made from lightweight reinforced concrete, this collection is stunning. 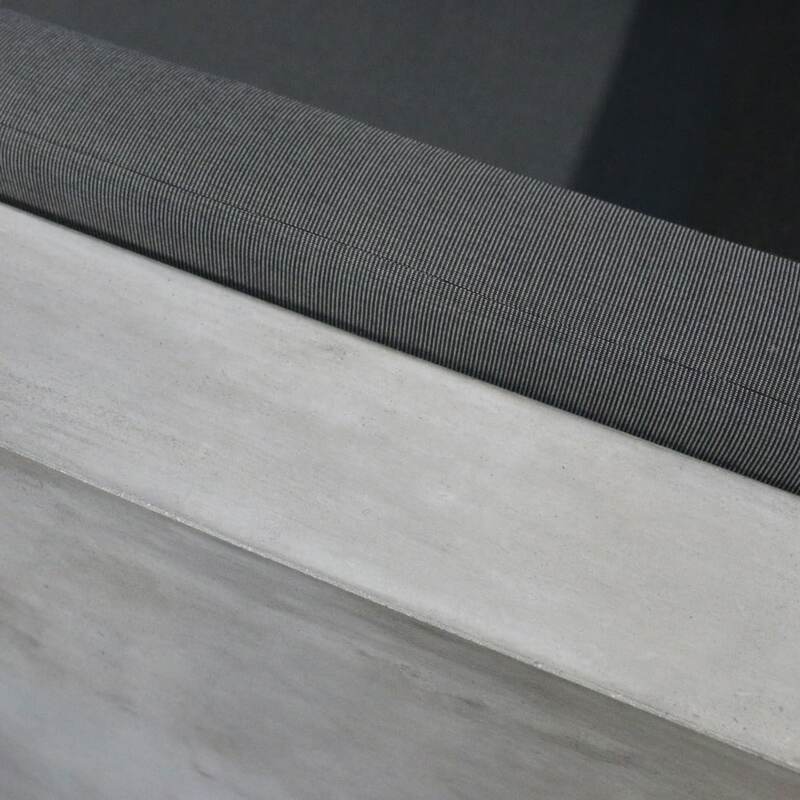 Top tier materials, unmatched natural looks and a bold styling that approaches modern, but has plenty of contemporary flair. This right arm sectional piece can be used as the end piece for an L-Shaped or Linear sofa sectional. 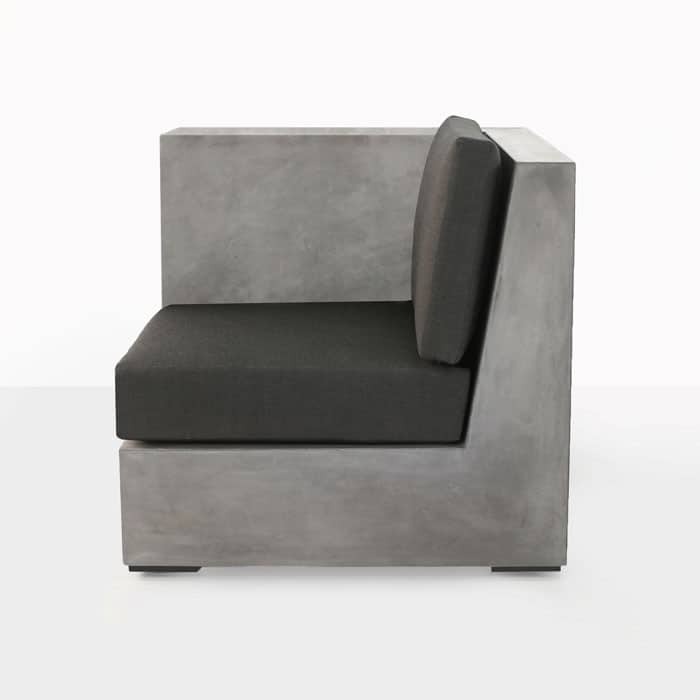 The right arm is situated on your right while you are seated in the piece. 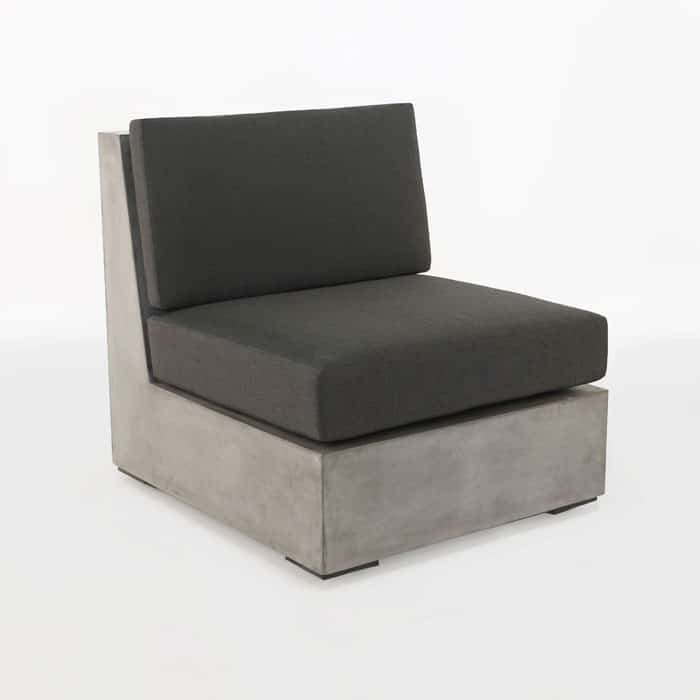 This chair includes a Sunbrella cushion for the seat and for the back surface, which leaves the natural beauty of the concrete open on the arm.